How to Overcome a Broken Heart. 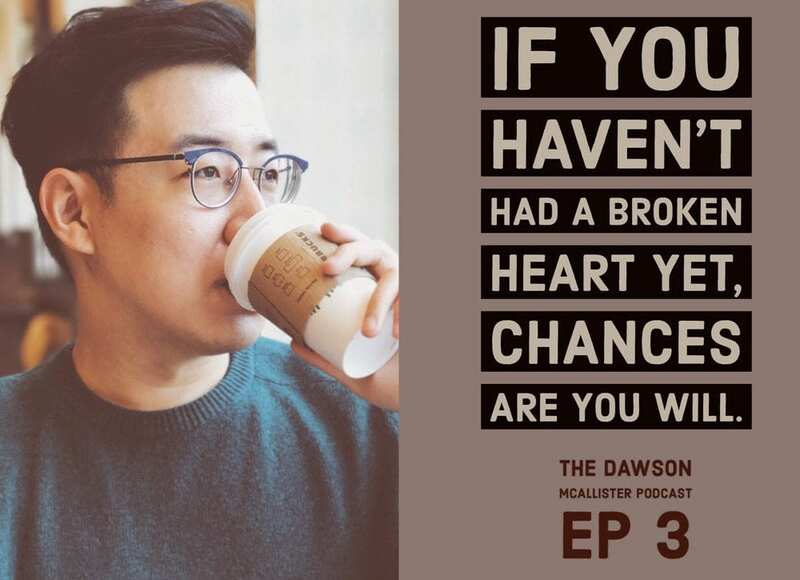 When it comes to relationships, one of the most asked questions is, “How can I overcome a broken heart?” If you haven’t had your heart broken yet, there’s a good chance you will. To be in love is to be vulnerable to the other person so if they want to hurt us, they can. The deeper the love, the deeper the hurt. All this pain begs for an answer, what can you do to fix or mend a broken heart? If you follow my advice, I’m convinced you will heal more quickly and more deeply. In this episode, I will give you 6 ways to help you overcome a broken heart. This episode also includes Jacob and Nina’s story of heartbreak. They will both get through this and so will you. It happened…you opened yourself up to love and got hurt. You’ve been left heartbroken and vulnerable. The hurt is powerful, we are not going to pretend otherwise, but you can overcome. It’s only when we feel our pain that we are honestly able to deal with it and move on. You can move on past this hurt and find healing for your heartbreak. The next episode is about lust. All the words I needed, thank you. You’re welcome. We are glad it was helpful!